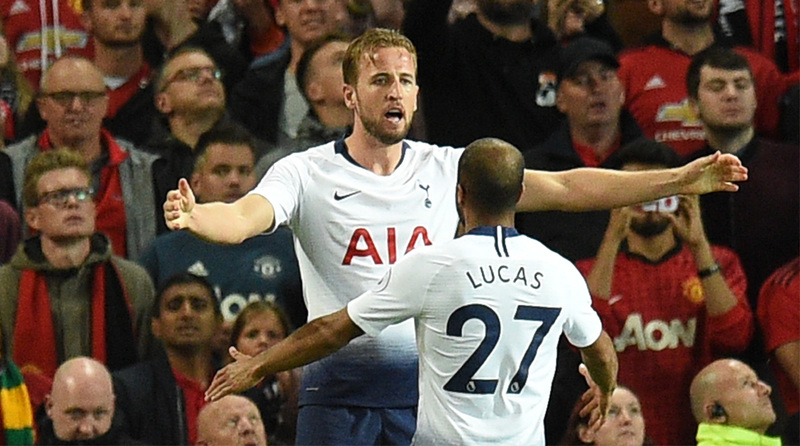 Tottenham Hotspur on Thursday were handed a tough UEFA Champions League draw but star players Harry Kane and Eric Dier insisted that the Lilywhites will not be fazed by the challenge of facing European giants Barcelona and Inter Milan. “It’s a brilliant draw, games at famous stadiums like the Nou Camp, the San Siro, it’s a really good draw, one to relish,” Kane told the club website. Along with La Blaugrana and the Nerazzurri, Spurs will battle it out for a spot in the last-16 with Dutch side PSV Eindhoven. “Barca will be a different test but to play in the Nou Camp against some of the best players in the world…it’s fantastic to play in these types of games. There is no false bravado in Mauricio Pochettino’s men for they have made a terrific start to the 2018/19 Premier League season. After edging Newcastle United 2-1 on the opening day, Spurs beat newcomers Fulham 3-1 but the best came earlier this week. A tough away trip to Old Trafford yielded three points with a 3-0 scoreline to boot to leave Manchester United in a shambles. Spurs last played Inter in the Champions League when Gareth Bale used to don the Lilywhites jersey and a whole lot has changed in the footballing world since then. “Inter have been a bit of a sleeping giant in the last few years. The Club has history against them in the Champions League so it’s great to play a team like that and PSV, another very well-known European side and Dutch teams are always very strong and play a nice style of football – every game will bring up different challenges and it’s exciting for us. We’ll be ready for all of those challenges,” the hardworking utility man added.